Do you have a little musician in your household that needs a creative outlet to compose the next big symphony? Start their path to musical appreciation with a Baby Grand Piano by Schoenhut. 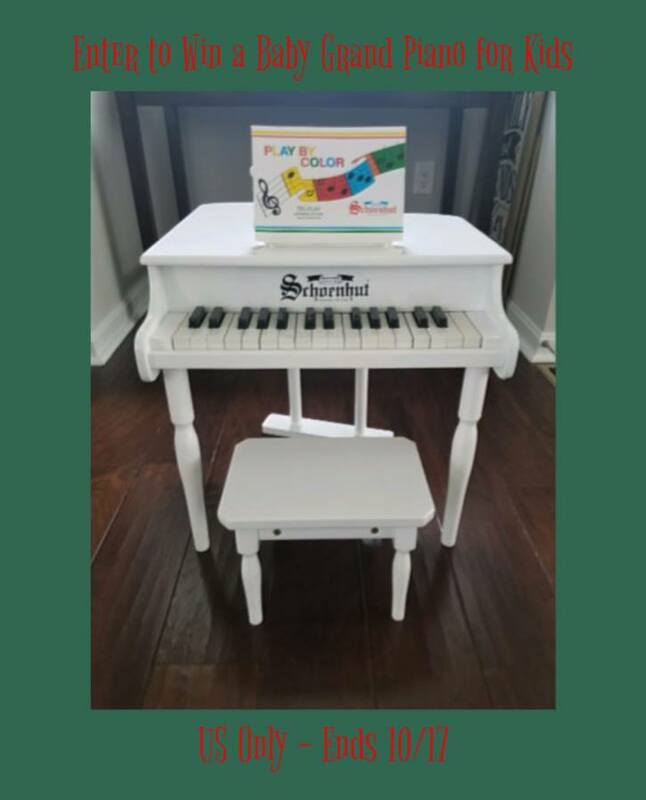 Read all about it and how much fun little kids can have with their own Baby Grand Piano. I’m the actual pianist, and would love a real baby grand piano. However, my grandchildren would get this one!! My 3 year old loves to play instruments. She would love this! This is so adorable! My grandson will definitely get this! I think Liz would adore this in her room! What a great baby grand piano this is, our five year old grandson would enjoy this very much. Felix will be the lucky one! My nephews would love this piano.